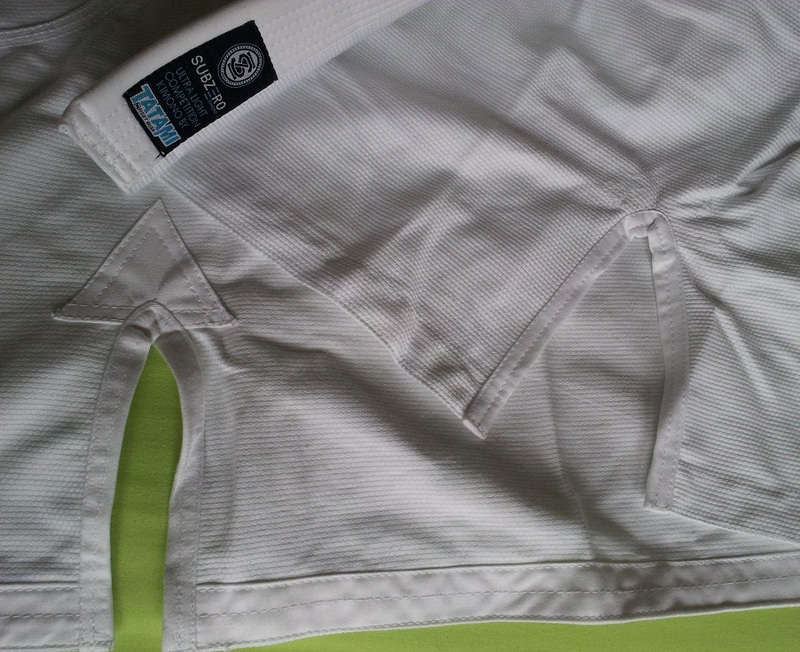 Short Review: Tatami Fightwear’s lightweight ‘Zero G’ range has a new addition, the Sub Zero Ultra Light Competition Gi. Although there are lighter options on the market, they largely rely on ripstop. For those who don't like ripstop (some question its durability) or are worried about getting past the gi checkers, the Sub Zero is a good choice when you’re struggling to stay under the weight limit at your next competition. The 350gsm pearl weave jacket and 8oz twill cotton trousers weigh in at 1.2kg, which is impressively light for a cotton gi that does not go the ripstop route. The bungee cord drawstring is too long for my taste and I could do without the logo on the upper back, but even by my standards this is a plain gi. If you liked the Nova, then this should be right up your street, with several improvements. Available for $110 (£75 in the UK) here (to buy direct from Tatami, go here). Full Review: When it comes to super-light gis, I've yet to see anything that can match the Gorilla 'Hitman' and the Gimono. Hence why those two gis are what I take with me when travelling, such as my recent trip to California. However, they are both also made of unusual material, which will almost certainly cause you problems at the stricter competitions. This is a problem Tatami have sought to rectify with a recent addition to their Zero G range, dubbed the Sub Zero. While not as light as the two aforementioned gis, the Tatami Sub Zero manages an impressively low weight without plumping for either the ripstop or non-standard material option. 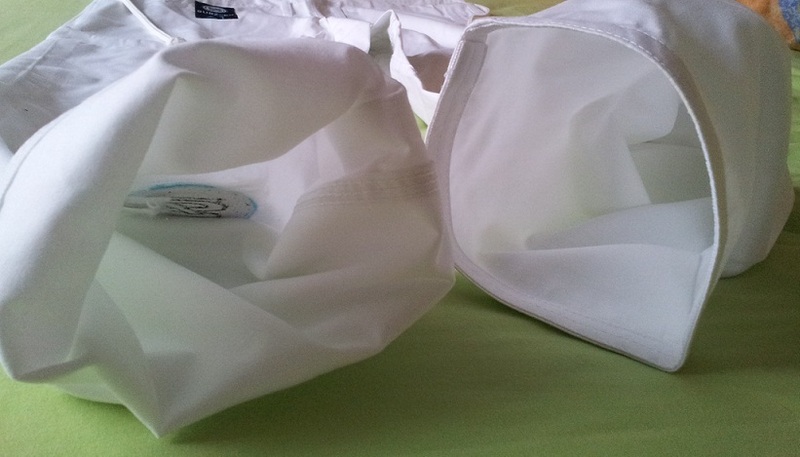 You can get an idea of the fit from the photo on the right: I'm 5'7 and around 145lbs, wearing an A1 Tatami Sub Zero. The jacket is 350gsm with limited bling, comparable to Tatami's Estilo Classic. The ornamentation on the Sub Zero is in almost exactly the same configuration, with a logo on the lower right leg, another on the sleeve and a third by the upper back. The ice blue border is a stylish touch, given the name of the gi. Unlike the Classic, the Sub Zero has embroidered text underneath the logos, which is not to my taste (I would prefer just the logo), but it's also relatively innocuous. An atypical feature, or rather lack of feature, is the absence of any extra material shoring up the area by the armpit. Of my other gis, I can only remember seeing that repeated with the Gimono: presumably the purpose is to save weight. However, the usual triangles for reinforcement are in place above the side vents. A soft strip of fabric lines the inside of the cuffs on the sleeves and trouser legs, as well as the bottom of the inside jacket. According to the website the jacket vents are slightly longer than usual, although I did not notice a major difference in comparison to other gis I own. In terms of collars, the Sub Zero boasts one of the beefiest I've encountered so far. In many ways, I was reminded of the Tatami Nova: the fabric felt similarly soft with that same bright sheen. The 8oz twill cotton trousers were especially familiar: I expect they are the same pants with a different logo, as the Nova uses the 8oz twill too. Again like the Nova, the Sub Zero has a bungee cord drawstring that dangles too far for my liking, but it's a minor irritation. A drawstring can always be cut or replaced (I've got a short guide on how to do that here: you just need a wire coat-hanger and a substitute drawstring). The trousers are also reinforced in the typical manner, around the crotch and on the knees. The extra material reinforcing the knee would benefit from a slight increase in its length, in order to more generously cover the kneecap when your leg is bent, but it's sufficient. In terms of belt loops, there are only two: that's adequate for my purposes, though I know some people like to have lots of belt loops to evenly and securely hold the drawstring in place. I found that gi shrinkage was fairly minimal. After two 30 degree celsius washes and air drying, the cuff to cuff wingspan dropped from 160cm to 153cm. The shoulder to the bottom of the jacket went from 79cm to 78cm, while trousers have reached a comfortable 93cm, having started at 96cm. Hung up in an unheated room directly after washing, the Sub Zero was completely dry after twenty-four hours. 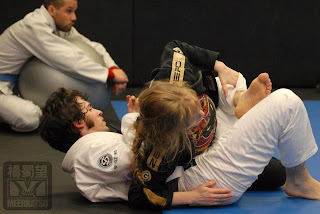 The Tatami Sub Zero was my gi of choice at the GrappleThon in support of the charity RapeCrisis earlier this year. Though this has nothing to do with the quality of the gi, Tatami Fightwear have now supplied free t-shirts for that event two years running, without asking for anything in return. 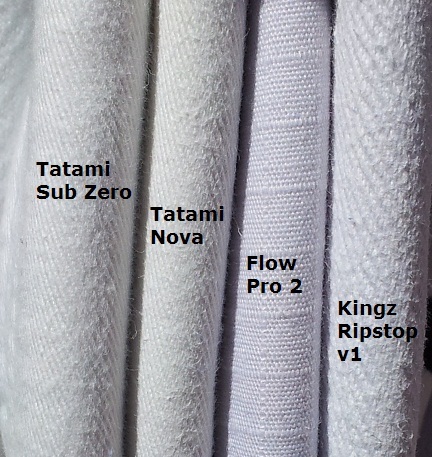 With ever more gi companies popping up with little to mark them out from the rest, I think it is worth mentioning that Tatami have proven they are willing to give back to the community. An appealing finishing touch is that the Sub Zero comes with a snazzy black drawstring bag, emblazoned with the Sub Zero logo. This is something which has become increasingly standard with the Tatami Fightwear gi selection. Unlike the old blue bag I have from the original Zero G, this version goes over both your shoulders rather than just the one. The Sub Zero will set you back a reasonable $110 (£75 in the UK), available here (to buy direct from Tatami, go here). Is this worth the additional cost over the Nova? 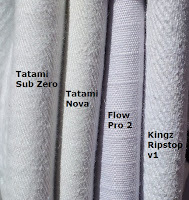 I need a second gi, I have a Nova, and I'm torn between buying another Nova in a different colour, or getting the Zero. The Nova is an excellent gi for the price. With the Sub Zero, for an extra £20 you get a lighter gi (350gsm rather than the Nova's 425gsm material) and no patches (which for me is a big advantage, but others like more bling).